Serves as a consulting system to analyze, integrate, and customize with the ability to provide context-sensitive reports, advanced data extract, and Dynamics CRM integrated solutions. Get a 360-degree view of your financial, operational, sales and marketing functional areas with powerful business intelligence and reporting solutions based on Microsoft Platform: SQL Server Database Engine, Integration Services, Analysis Services (OLAP), Reporting Services, SharePoint Server, PerformancePoint Server, Excel and Excel Services, Reporting and BI for Dynamics GP and Dynamics CRM. IQubz Reporting & Analytics Reviews Recently Reviewed! Pros: Using this software allows me to create convenient visualizations without too much difficulty. It integrates perfectly with Office 365, as well as many other Microsoft tools. Cons: At first, using Microsoft Business Intelligence was quite difficult, so I had to spend a considerable amount of time studying it in detail. But now I get real pleasure from working with the package. Pros: I LOVED EVERYTHING ABOUT IT. IT WAS SUPER FAST, EASY, AND RELIABLE. Cons: I DID NOT DISLIKE ANY OF IT. IT IS REALLY RELIABLE, FAST, AND GREAT QUALITY. Overall: IT IS THE BEST EXPERIENCE FOR MY WHOLE BUSINESS, I AM VERY PLEASED. Pros: MBI offers easy to use and clean, cut platform to make work-life and work easier. Cons: Cost was a little more than desirable to bring into the business. 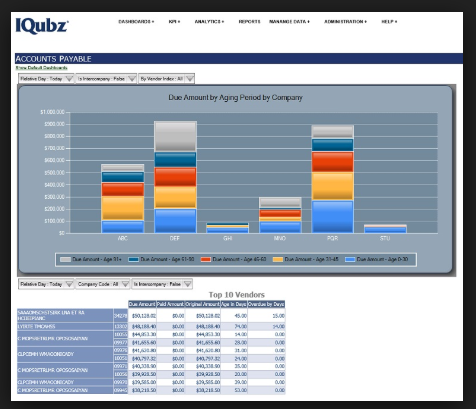 Pros: Microsoft Business Intelligence is suitable for all corporations not just the big ones. They are easy and simple to use and everyone can benefit regardless of the size of their organization. It not only reduces the need for having a middleman to analyze your data but also increases the speed at which data is processed. Cons: It is a bit complex due to the arrangement of items, however with time you become conversant and enjoy the benefits. Overall: It helps in keeping track of long term goals.